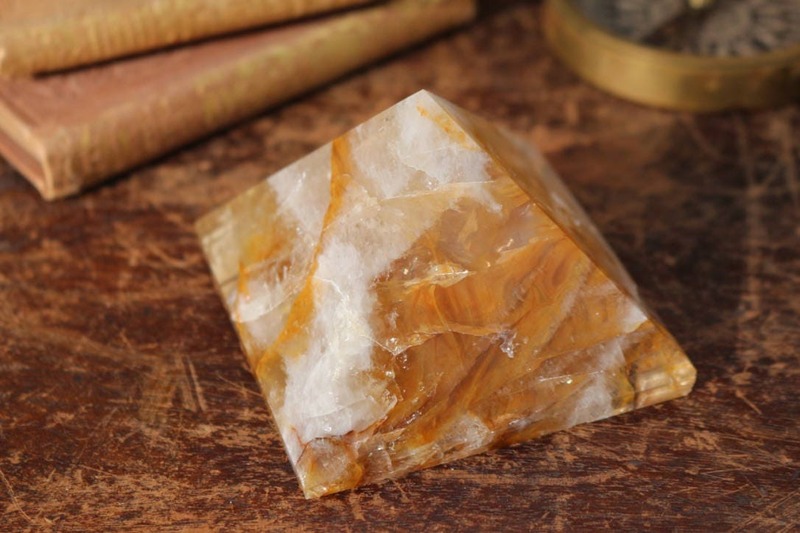 An Extra Large Polished Hematoid Quartz Pyramid with gorgeous swirls of yellow, light gold and clear quartz with darker "fire" red veining, along with tiny rainbows throughout. Hematoid Quartz (Fire Quartz) contains both the amplification properties of Quartz with the balance and stability of Hematite. The combination of Quartz and Hematite balances the body, mind, and spirit. It brings a unique clarity and understanding to the emotions, helping to understand the difference between an unconscious reaction and a conscious response. Hematoid Quartz (Fire Quartz) also assists when Self Worth and Self Esteem are lacking. 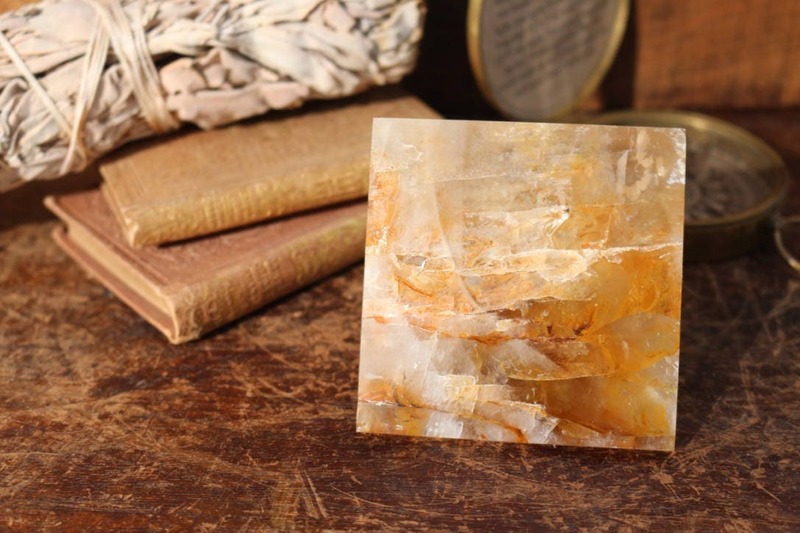 It is a highly energetic piece that can help not only in removing negativity but also transforming and transmuting this energy into a positive and pure Universal light of love. 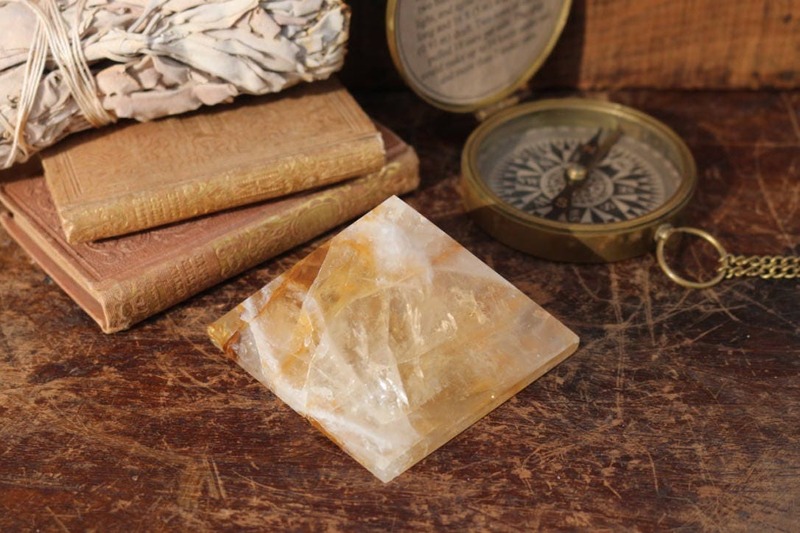 Hematoid Quartz (Fire Quartz) enhances focus and concentration and would be especially helpful for those with ADD and ADHD. 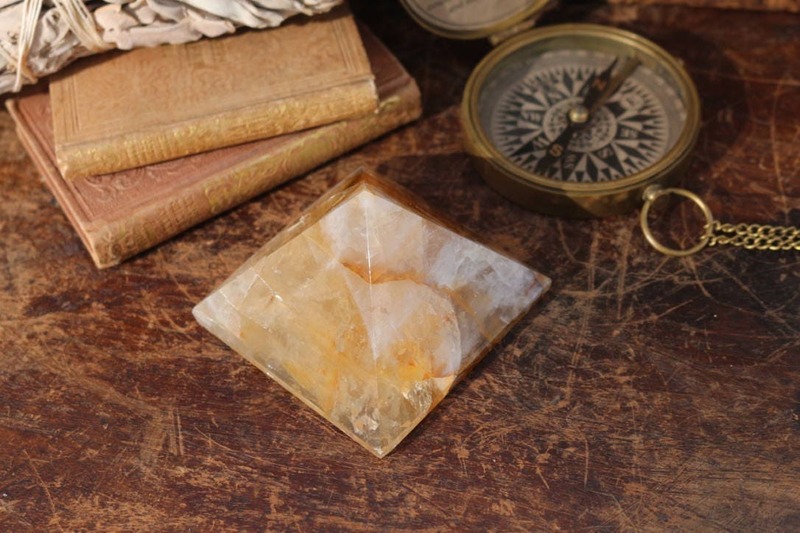 Those with short attention spans or have trouble completing projects would benefit from holding or carrying Hematoid Quartz (Fire Quartz). 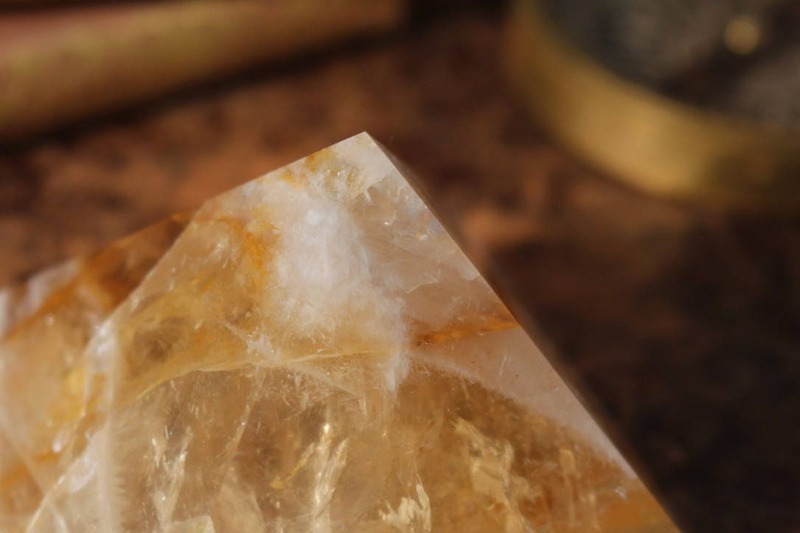 Use Hematoid Quartz (Fire Quartz) for grounding and balance when feeling scattered. It can also be used to calm anxieties, panic, and hysteria. 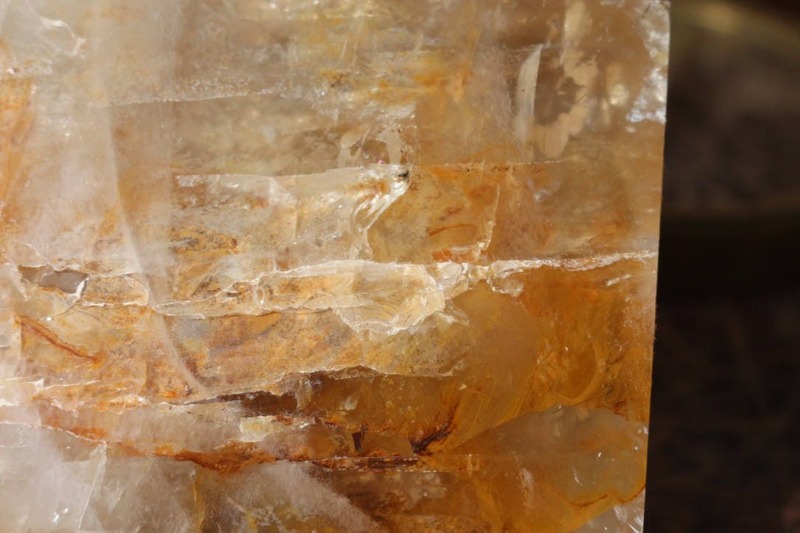 Hematoid Quartz is associated with the Sacral, Root and Solar Plexus Chakras.